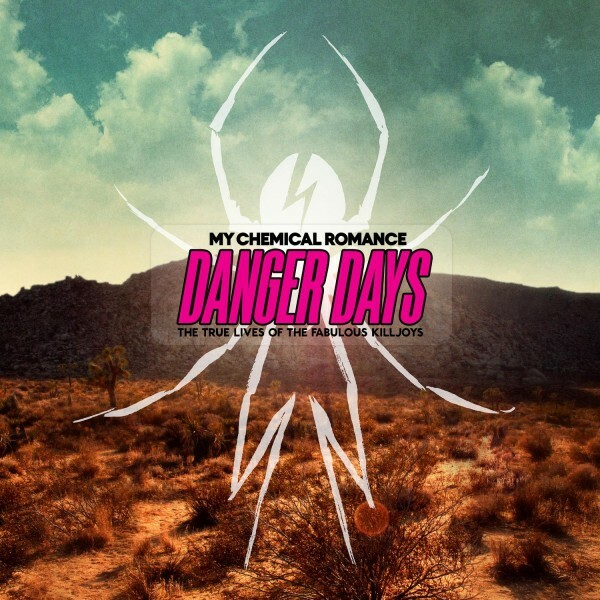 Danger Days: The True Lives Of The Fabulous Killjoys is the fourth studio album from My Chemical Romance and features the hit songs "SING" and "Na Na Na (Na Na Na Na Na Na Na Na Na)". Produced by Rob Cavallo, this was the final studio album recorded by the East Coast alternative rock band. Danger Days is the band's second concept album set in a fictional post-apocalyptic California in the year 2019. A band of outsiders - the 'Killjoys' - are engaged in conflict with a nefarious corporation that is apparently controlling the population. Danger Days: The True Lives Of The Fabulous Killjoys is the fourth studio album from My Chemical Romance and features the hit songs "SING" and "Na Na Na (Na Na Na Na Na Na Na Na Na)". Produced by Rob Cavallo, this was the final studio album recorded by the East Coast alternative rock band. Danger Days is the band's second concept album set in a fictional post-apocalyptic California in the year 2019. A band of outsiders - the 'Killjoys' - are engaged in conflict with a nefarious corporation that is apparently controlling the population.